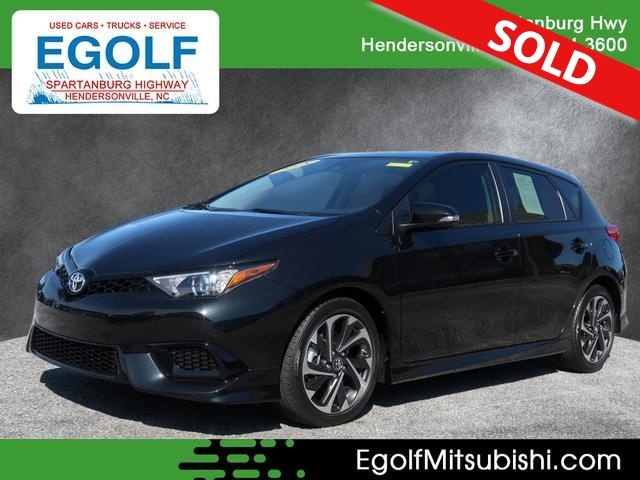 2018 TOYOTA COROLLA IM, ONE OWNER, LOCAL TRADE IN, CLEAN AUTOCHECK HISTORY REPORT, ONLY 9K MILES, REMOTE KEYLESS ENTRY, ALLOY WHEELS, POWER EQUIPMENT GROUP, EXCELLENT FUEL ECONOMY, FACTORY WARRANTY AND MUCH MORE. PLEASE CONTACT EGOLF MITSUBISHI SALES AND SERVICE 1325 SPARTANBURG HIGHWAY, HENDERSONVILLE NC 28792 @ 828-694-3600 FINANCING AVAILABLE FOR ALL CREDIT TYPES! !.